Cars are important assets- they help get us where we need to be, they help protect us, and they represent a considerable financial investment. That is why car care is important year round, especially for used cars. With winter conditions upon us, it is a good idea to make sure our cars are prepared to handle the cold temperatures, wet & salty roads, and other winter challenges. From packing an emergency kit and jumper cables to preventative maintenance like checking your car fluid levels and getting a car wash to defend against ice, salt, and sand, preparation is key to keeping your vehicle going strong all winter long. For this reason, I have teamed up with the International Carwash Association to bring you an informative Car Care Tips Infographic and six simple tips to get your vehicle winter-ready. For additional winter car care tips, visit carwash.org/watersavers. For me, I get the first 4 tips knocked off my list with one visit to my local car maintenance and servicing shop. Antifreeze helps protect your engine from extreme temperatures and helps keep fluids from freezing as cold sets in. When temperatures fall, air inside your tires contracts and causes the tire pressure to drop, which can make tires susceptible to damage. A big temperature dip likely means you may need more air so even though I get it checked at the shop, I still have to check this one out throughout the winter. I have a handy dandy little tire gauge so I can do so easily at home in my garage. It is also important to make your sure your tires have plenty of tread for the wet winter. Colder temperatures can cause motor oil to thicken, which can cause problems starting your engine. Change your oil just before winter to help keep oil flowing easily through your engine and help your car start easier. As thick snow starts falling and when rain turns to ice, it’s important to have new, properly fitted wiper blades to keep your windshield and vision clear. I have this next step taken care of in one stop at my local WaterSavers® Car Wash. 5. Wash and Wax Washing and applying a fresh coast of wax is a great first line of defense against ice, salt, sand and slush. Getting the car undercarriage cleaned at a car wash is also a great way to avoid rusting on the underbelly of the car which helps maintain the overall value and performance of the vehicle. Additionally, washing a car at regular intervals in winter can help keep the windshields, mirrors and lights clean, and ensure better visibility for the driver. 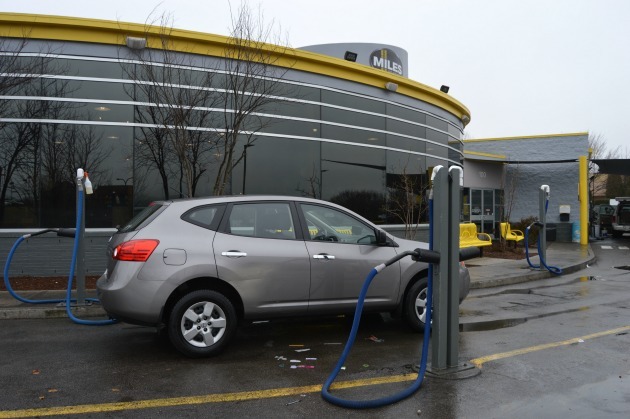 I like to use a WaterSavers® Car Wash when possible because they do a great job at preparing my car to withstand the winter elements while going easy on the environment. WaterSavers® Car Washes typically use only 40 gallons (151.5 liters) or less of fresh water per car wash — less than the water used for a load of laundry. Learn more about the environmental impact of car washes and find a WaterSavers location at Washwithwatersavers.com. This next step just involves the one time chore of packing up an emergency kit or if you have one in the car already, just beefing it up for the winter. 6. Pack an emergency kit To help ensure safe travel and be prepared for emergency situations, keep an emergency kit. Essential items for your vehicle emergency kit include: gloves, ice scrapper, shovel, salt or sand, warm clothing and blankets, jumper cables, first-aid kit, and some water and snacks, just in case! To help you prepare for winter, my sponsors have provided a giveaway prize pack. 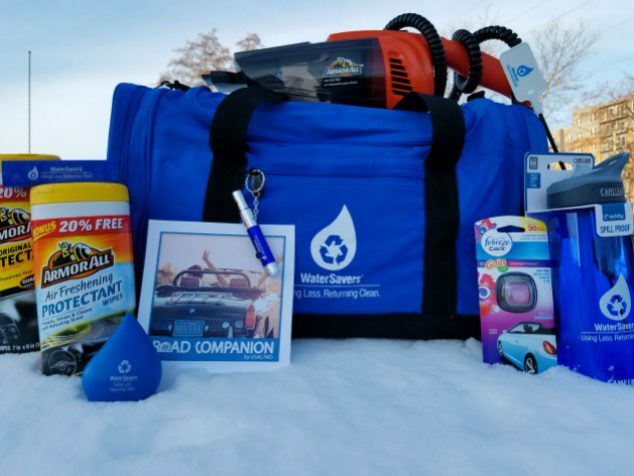 Enter to win one winter vehicle preparedness prize pack. Contents will include one duffle bag loaded with auto essentials (CamelBak Water-bottle, Stress ball, Charger bank, Glass cleaning wipes, Leather cleaning wipes, Auto vacuum, and Car Febreze) and one Road-Side Assistance Companion 12 month membership (Costco brand, but Costco membership not required for use). Road Companion Membership Features: 24/7 Nationwide Towing & Roadside Assistance, Battery Jump Start, Fuel Delivery, Lock-out & Tire Change. Giveaway Terms: Email will be kept private. Winner announced above in the Giveaway Tools widget on January 31, 2017. Winner will be selected randomly through Giveaway Tools and I will notify by email. Winner must respond within 4 days or the prize will be forfeited and alternate winner will be chosen. Is a winter car care important to you? 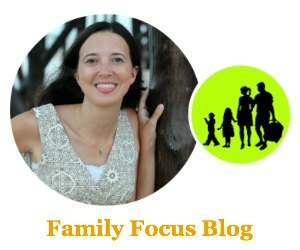 How do you keep yourself and your family safe? Which winter care tips that I shared have you done or have left to do?